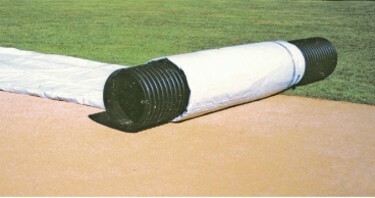 Heavy duty 28" diameter double-wall corrugated HDPE rollers are perfect for handling and storing rain covers. When purchased with an Infield Rain Cover and Vinyl Storage Cover, it's the perfect 3-piece system for keeping your fields dry so your players can play ball! 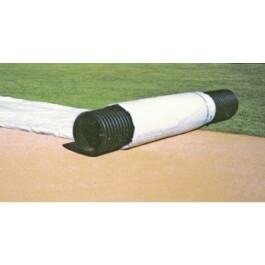 Heavy duty 28" diameter double-wall corrugated HDPE rollers are perfect for handling and storing rain covers. This roller comes in two pieces.